TL; DR: After a skiing adventure in 2002, developer David Ekholm was frustrated by the limited options for sharing his trip photos with friends. He experimented with existing photo sharing software but quickly opted to build his own: jAlbum. David’s software now powers the photo galleries of more than 30 million websites worldwide. 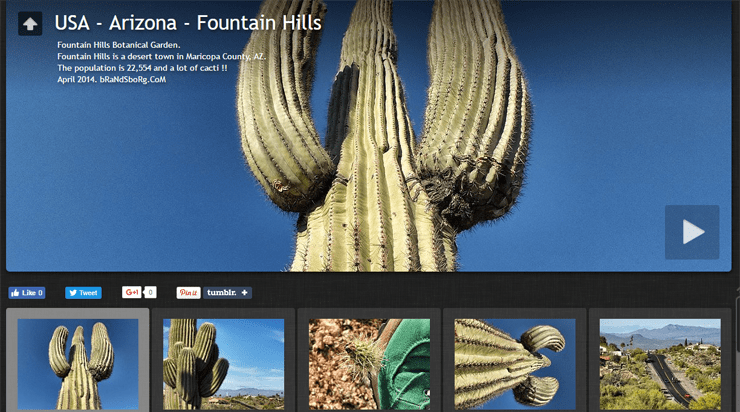 With customizable galleries, jAlbum gives users full control over workloads. Their hosted and downloadable license options and flexible tools make jAlbum a great fit for designers, developers, and, really, anyone wanting to share photography online. By the early 2000s, digital photography had become a widely popular medium for photographers to capture images. However, the technology to easily share photos online had not yet caught up to the technology used to take them. Burning images to CD-ROMs or using clunky online mechanisms that didn’t allow customization were essentially the only options available. Photographers needed a solution that would allow them to tailor and present their images to audiences on the web, and David Ekholm figured it out when he founded jAlbum. His software allows users to create professional online photo albums that can be easily embedded into any website. David wanted his solution to be customizable and straightforward so it could benefit the broadest array of users. David Ekholm founded jAlbum in 2002 to simplify and customize the way photo galleries are shared online. Today, more than 30 million websites employ galleries powered by jAlbum. The software’s popularity among businesses, designers, developers, and amateur or professional photographers is a testament to its flexibility, security, and portability. And jAlbum’s hosting solution allows those without their own websites to share photos and videos on their own customizable platforms. It all began in 2002 when David went on a ski trip with 12 of his friends. David had a website where he thought he could place the photos for his friends to download, but he quickly ran into problems trying to find an acceptable piece of software up to the task. 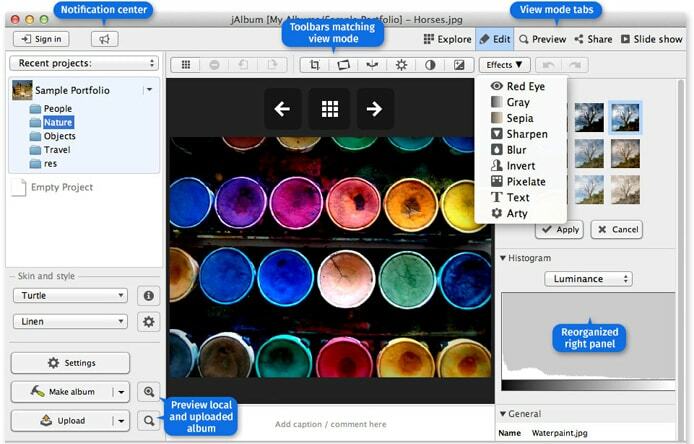 With total workflow control, jAlbum allows users to easily tailor photo galleries the way they want. That’s when David rolled up his sleeves and used his years of experience as an online gaming developer to create something better. Initially developed as freeware, jAlbum quickly took off, and David knew he had something big on his hands. People were finding the software was easy to use and a way they could customize online galleries, a novel combination at the time. There really is no defined target user of jAlbum, and that’s due to how their different plans are set up and the flexibility of the software. Users with their own websites or hosting platforms can opt for the Standard or Pro license. Those who need hosting services can sign up for the Premium or Power accounts, and both the Pro and Power options contain commercial use capabilities. The plans are based on need and can be effectively used by professional designers, developers, and even parents looking to share photos of their kids. For hosting companies wanting to upsell customers, jAlbum is an attractive partner offering added value to any hosting package. The jAlbum software gives users the ability to build and tailor albums to individual specifications, making it very popular with those in the creative field. Bo Brandsborg has been using jAlbum for years as a platform from which to share his photoblog, which is a great example of the software’s customizability. Bo chose to present photo galleries on his site in multiple formats. Some of his albums present viewers with clickable thumbnail galleries, while others give full-sized photo slide shows. The jAlbum software allows for numerous gallery formats, from clickable thumbnail albums to full-sized slideshows. The hosted plans are popular with sports clubs and other topic-oriented groups looking to share photos with a community. David told us many of jAlbum’s customers are professional developers running websites, so it’s natural for them to opt for the downloadable licensed version. The software allows users to display a large number of images on a regular basis, and the software makes it convenient to manage this high volume by supporting deep hierarchies of folders. Again, David stressed customizability as the #1 feature that sets jAlbum apart from the pack. The software comes with numerous integrations that further its flexibility. There are integrations with PayPal and a shopping cart solution for developers building sites for commercial purposes. Furthermore, all galleries created with jAlbum are portable. If users want to move their albums to another service, they can do so without starting from scratch. Hosting companies can find an effective partner with jAlbum. The software’s tools automatically optimize images for the web, so user sites are sure to load fast. Going forward, David aims to explore expanding partnerships with hosts around the world to help them market their services to consumers. David plans to grow his own marketing efforts to accomplish this. Security is always top-of-mind for people uploading content to the web, especially when it comes to their creative work or precious photography. Those hosting with jAlbum can rest assured that their assets are, literally, bomb-proof. The software does more than protect against air raids, though. Users can watermark images with logos, place copyright notices in image metadata, and disable right-click saving abilities. David stressed that jAlbum is a totally distributed solution, which is another important layer of protection offered by the software. Back in 2002, David saw the technological gap between taking photos and sharing them and addressed it by creating a comprehensive online gallery solution that benefits a wide variety of users. His software solution presents a success story, but it doesn’t end there. The future looks bright for jAlbum with continued improvements and further reach. David noted that upgrades to the software’s responsive design are underway. New skins are being developed that focus on responsiveness and integration, and David aims to make jAlbum more readily available with a move into the retail market.